It’s 0200 and I’m tossing in my sleep. My PS Vita is sitting on the night stand next to me, charging after a marathon of minor league baseball, with Niko Mangosteen struggling desperately to win a starting job for his hometown St. Louis Cardinals but, for now, languishing in a utility position on the big club’s bench. For those who don’t follow sports video games (or who might write them off as “jock games”), modern sports games are every bit as much role-playing fantasy as they are sports and performance: in Sony’s MLB: The Show franchise (my current choice), players can play a career mode in which they engage the game of baseball as an up-and-coming professional. In this mode, players create their avatar and then build their skills not through a menu but rather, through actual performance in a series of “scout games”—the mode is meant to simulate how up-and-coming high school players would be evaluated, and their in-game performance is used as a way to give them points (to add to their avatar’s various skills) as well as their final draft and salary positions. Players who strike out or commit errors in this game are given few to no points, and players who can score runs and strike out opponents here earn larger bonuses (both in points, and in eventual salary). 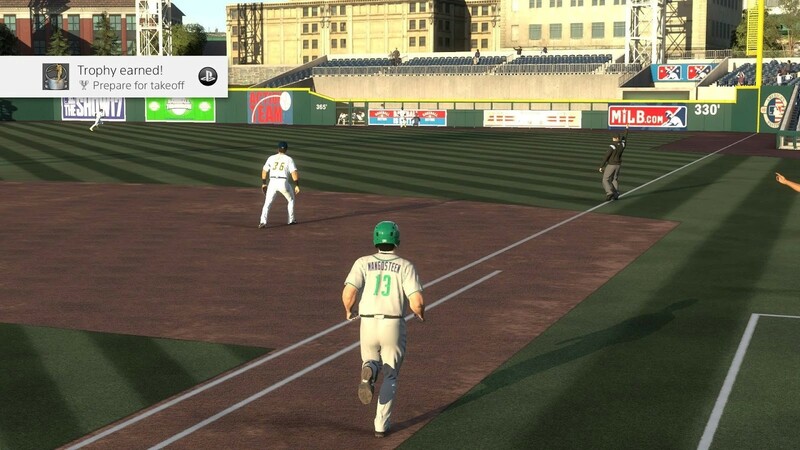 Yet unlike the real world, if a player strikes out in this game with runners on first and third, they have a unique affordance: they can simply reset, and play again. Niko Mangosteen (my 36-year-old, overweight, first baseman) must have played his scouting games again and again, two dozen times, before being selected in the top draft position. Each time I’d play, after a strikeout or a fielding error, I’d fume. I’d rant because my performance was being watched by the scouts, and I’d bark because my player development was going to be limited. Niko Mangosteen, after his first professional homerun. Here, he’s suiting up for the Hartford Yard Goats in the 2017 edition of MLB: The Show for the PS4. Given the Author’s anger towards Mangosteen’s 2015 season, images of that season no longer exist. And then, I’d realize that I can just reset the game, and pretend that nothing bad ever happened. One button on the controller could erase a bad play or performance, and the result of doing this repeatedly while saving only the good plays was a Niko Mangosteen as one of the most highly regarded draft prospects in this game’s history. Having secured a high draft spot, a major signing bonus, and several performance boosts to my player attributes, I was set for a career as a future Hall of Famer. Hours went by, and I crushed the competition—hitting almost .500, and averaging a home run in every eight at-bats. Mangosteen was a star, who quickly advanced through the AA and AAA ranks, making a major league roster by the end of his first professional season. Satisfied with my career ascent, I turned the game off for the evening. I decided that I’d start my Major League Baseball career, in the morning. I actually lost sleep that night, tossing and turning and wondering if I had tainted Mangosteen’s career with my actions. 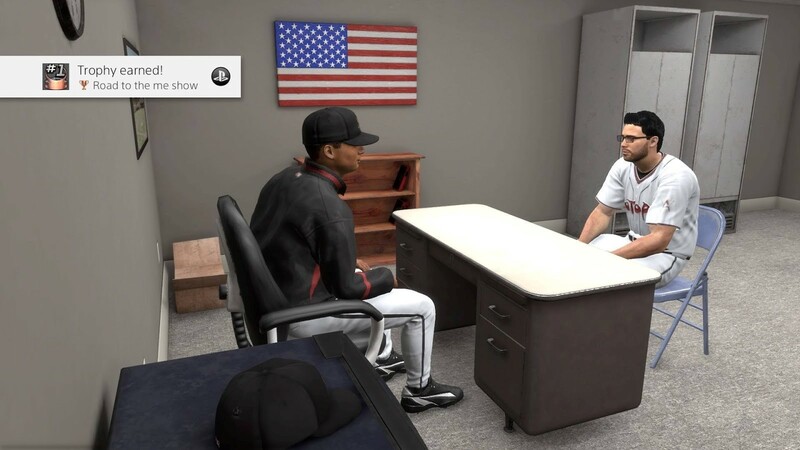 I mean, MLB: The Show is meant to simulate a professional career, by placing players on-display and in the spotlight—just like “the pros”probably feel in their own careers. 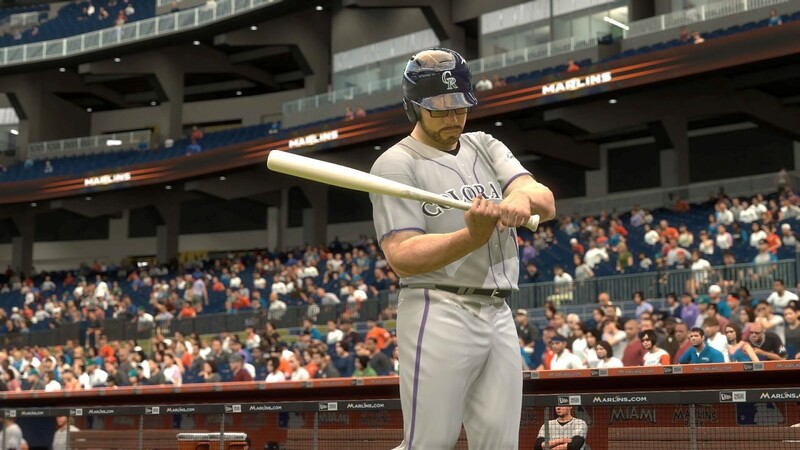 Purchasing the game is essentially purchasing a digital simulation of a professional baseball career, which should include all of the ups and downs of that career, shouldn’t it? The guilt stays with you—at least, it does for me. Of course, it’s not rational. This is a video game after all. The player development is simulated. The contract holds no real monetary value. The players, however photorealistic to my favorites (and most hated), are not real. The guilt is entirely self-imposed. Of course, perhaps these feelings of guilt are a side-effect of the game’s immersion—that is, I feel such a connection towards Mangosteen and his team (notably here, my hometown St. Louis Cardinals)—that my extreme levels of fan avidity are causing my shame. Designer Jay Posey approaches the debate around gaming realism and simulation as suggesting that while gamers say they desire simulation, often times such simulations might be “too real”—he uses the example of a “true-to-life” simulation of a sniper, crawling on their belly for days to run photo-reconnaissance missions, eating field rations for days on end. It’s likely a very accurate simulation … but it’s probably more fun to “fast-forward” to the running and gunning, with a few scope missions thrown in to keep things interesting. Taking it back to baseball, simply put I’m not very good at the real thing. My 5’ 8” and 200-pound, aging (by professional standards) Mangosteen, when I’m not cheating, is also simply not very good at baseball, but, at least, he’s an accurate reflection of me. Mangosteen, here being called up to the Major Leagues for the first time from AAA Albuquerque Isotopes (top). He would suit up for the Colorado Rockies later (bottom), but his tenure with the club would not last long. After a trade to the St. Louis Cardinals at the end of that season, Mangosteen’s playing time was reduced dramatically. Yet, as Posey would say, video games are not real life. For example, we can directly control the competency of our opponents. Adjusting difficulty settings (so-called “sliders” as they allow players to fine-tune the game’s intelligence and skill levels) is nothing more than using the in-game affordances provided by developers to help players maintain a critical balance of game challenge and player skill—to achieve that coveted flow state of enjoyment and attention discussed by psychologist Mihaly Csikszentmihalyi and applied to game design by many designers, including Jenova Chen in games such as Journey, flOw, and Flower. Yet still, that voice remains. After all, adjusting a game’s sliders is one thing; resetting a game, however, seems out-of-bounds. Analogous to “rage-quitting” among the social faux pas of gaming, even if no one is around to see it. I might not be cheating other social actors of their gaming experience, but in this case my rage-quitting seems to be tainting Mangosteen’s career, casting him as a cheater and perhaps no different than those real-world baseball players who use too much pine tar, cork their bats, or ingest performance-enhancing drugs. Perhaps I’ll try again, next season. 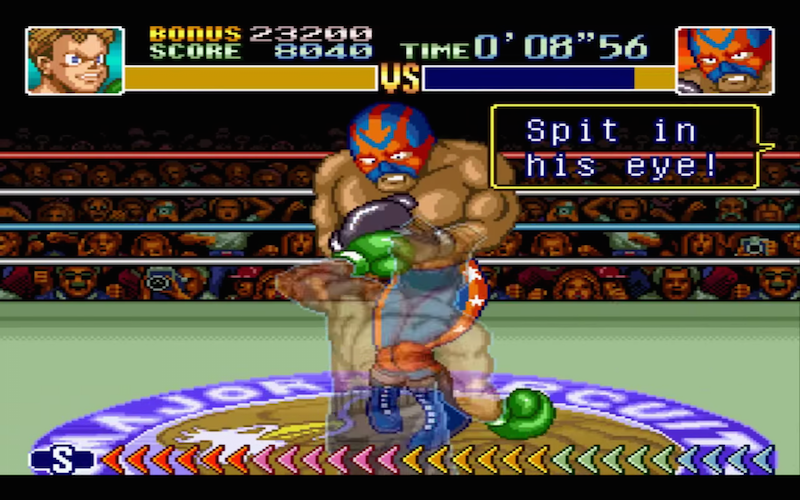 For now, however, I’ve hung up my digital bat and glove—I had to take the game back to the store, because it was taunting me so badly—and moved on to my next battle: Super Punch-Out on my SNES Classic. I’ve taken to engaging it with an original controller and avoiding any and all discussions of strategy to rely only on my own lived experience, past and present, with the game. I know from my childhood that each opponent has a weakness as well as a “tell” and if I play enough, I’ll figure it out. Of course, I’ve already had someone tell me via Facebook messenger the “trick” to beating Masked Muscle. I’m resisting the urge not to punch that person in the gut, for making me feel like a cheater.